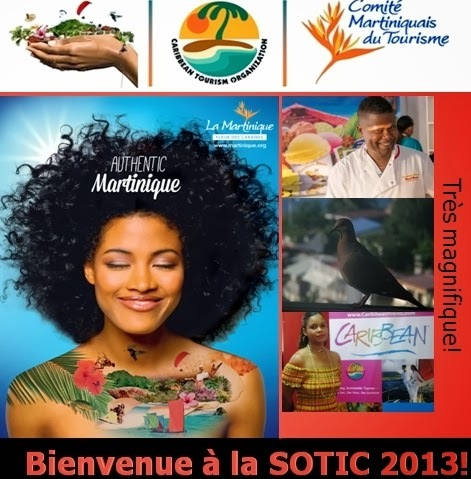 This years theme is "Perfecting the Experience - Delivering Authenticity,” and is organized by the Caribbean Tourism Organization (CTO) in collaboration with the Martinique Tourism Authority. The conference agenda includes training and education, service quality, standards, visitor satisfaction, and regional transportation. Prior to the conference, the CTO chairman asked delegates to come up with creative solutions to the challenges facing the region. And most important - pooling resources to strengthen the Caribbean brand in the marketplace. The Caribbean Tourism Organization (CTO) has headquarters in Barbados and offices in New York and London, and is the Caribbean’s tourism development agency comprising membership of over 30 countries and territories including Dutch, English, French and Spanish, as well as a myriad of private sector allied members.